Are you ready to get UGLY?? Thanksgiving is right around the corner, so you know what that means! It’s time to get UGLY. That’s right! Our Members and Mixers committee has been preparing all year for this night. OK… maybe not all year, but I sure have! 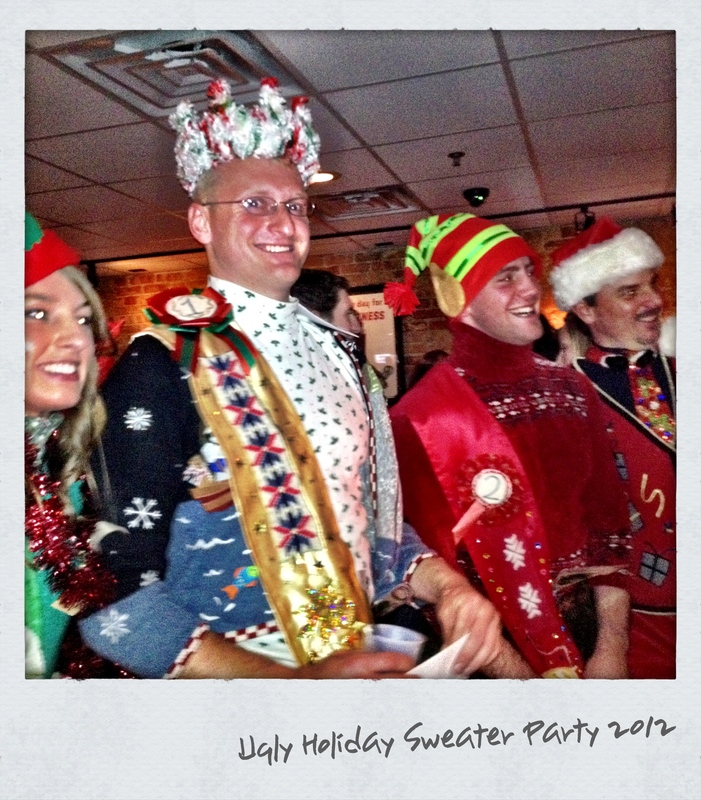 Our annual Ugly Holiday Sweater Party is two short weeks away and you know you want to be there! Last year’s Ugly Holiday Sweater party was pretty epic and there’s no doubt that this year’s event will be filled with even more shenanigans. Is Christmas time your favorite and you don’t care who knows it? Find your best ugliest holiday sweater and strut your stuff on the runway for a chance to win some really awesome prizes. Don’t forget your reindeer antlers, jingle bells and Santa boxers! Now that your head is spinning with AWESOME ideas, get that outfit together and make plans to join us!